1. Teach the game through drills – The ability to execute proper drills enhances skill level and improves athletic foundations. Your practices should utilize drills that enhance skill development. 2. 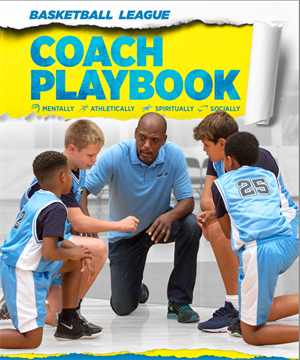 Teach the rules of basketball – For players to grow in the sport they must understand and apply the rules of the game. Take time to explain rules and why they are important. as it is for life. Knowing how to handle both in a positive way builds character in young athletes. Teach your players to play hard and play to win, but also teach them to put others before themselves with a positive attitude and sportsmanship. 4. Communicate effectively – In order to teach the rules, explain drills and teach sportsmanship, you have to be an effective communicator. Likewise, good communication and organizational skills are crucial in keeping parents informed throughout the season. This includes keeping them up to date on practice and game times and having a plan in place each and every practice.